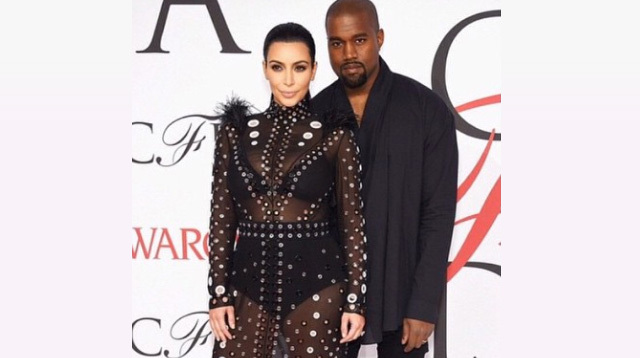 Kim Kardashian Was On Fire Last Night! Literally! Hot news, headlines, and conversation starters on June 3, 2015! 1 Kim Kardashian’s Proenza Schouler gown, made from sheer black fabric and ostrich feathers, caught fire on Monday, June 1. The reality TV star leaned too close to a candle during the Council of Fashion Designers of America Awards after-party. Kim took to her Instagram to thank singer Pharrell Williams and his wife Helen Lasichanh for rescuing her: "Shout out to Pharrell & Helen who saved my life last night! LOL After the awards at dinner the feathers of my dress caught fire from a candle & they jumped on me to get it out!" 5 Watch Channing Tatum pull a wild stripper prank for Magic Mike fans! This guy is the best.